We enjoyed a lovely Saturday afternoon to celebrate St Patrick’s Day. 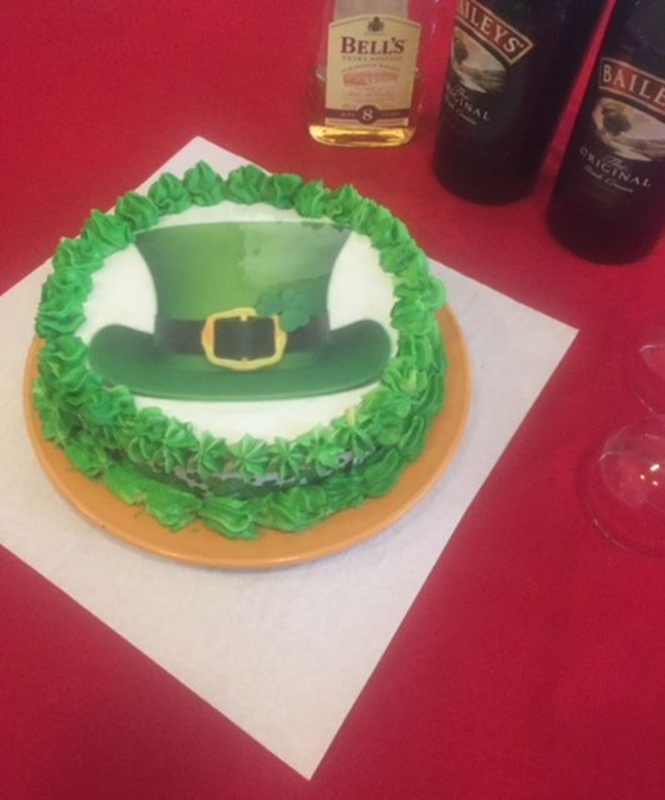 A Cake decorated with Shamrocks and a Leprechaun’s hat, Bailey’s, Guinness and Whiskey were on offer to party in style. 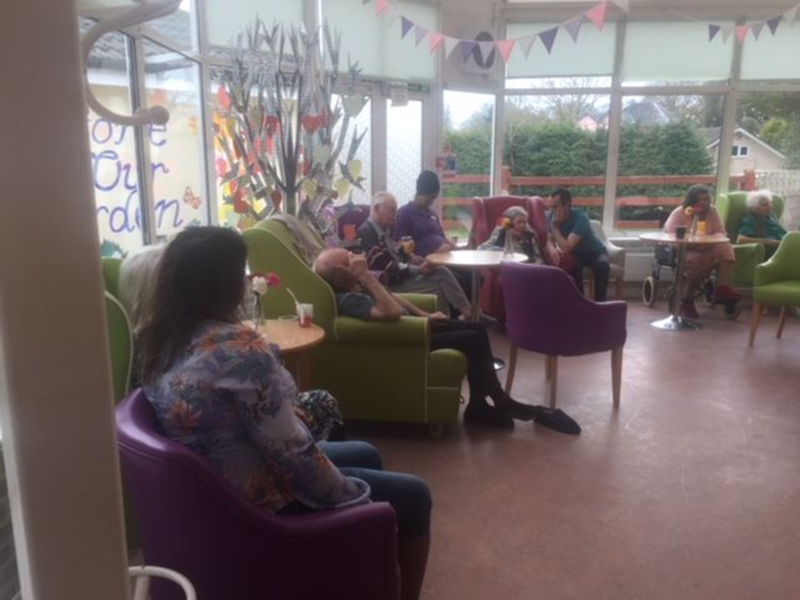 We listened to Irish Folk music and some service users were dancing, singing, or just clapping their hands to the tunes. 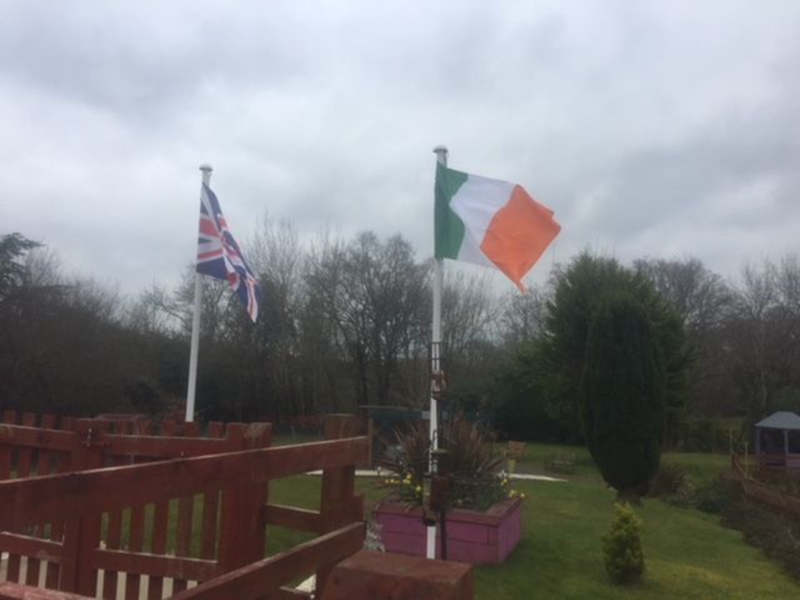 As a tribute to our Irish Service users, we hoisted their flag on St Patrick’s Day. Irish Patrick (alias Paddy) loved this gesture most, as he can see it perfectly from his bedroom window. He also liked the idea having a little party in the afternoon to celebrate ‘his’ Patron Saint. …has always been one of my favourite chores’ (Eaun Simpson). No problem, Eaun, you can do this whenever you like! 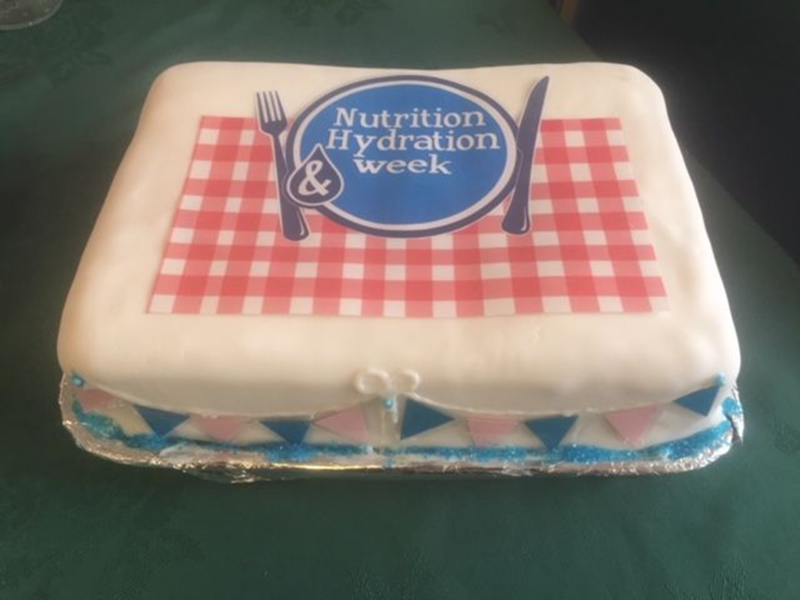 This is a global challenge to create a movement to reinforce, focus, energise, create activity and engagement for nutrition and hydration as a fundamental element to maintaining the health and well-being for our global community. 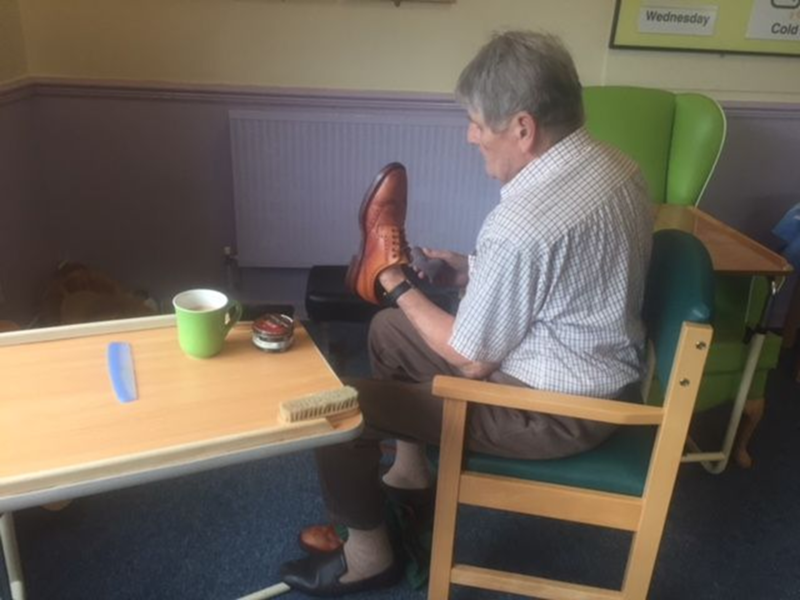 Here at Birchy Hill we have been taking part in this challenge for many years. This year we introduced new drinks and food to our Service users. There was a yummy Chocolate Fondue with fruit pieces, Smoothie Time, Homemade Banana Bread prepared from scratch, our Fruity Friday where some exotic fruit was on offer, Coconut Day with drinks, sweets and lunch prepared with coconuts, ice creams, Irish delicacies, and of course a Global Tea Party with wonderful buffet food to tuck in. Lots of information was given, how to ‘eat your water’ with details of fruits’ and vegetables’ water content. Interestingly many Service users told us that they prefer flavoured water to squash. We will take their wishes into consideration.